This clinic consists of 5 days of instruction at my training facility in Temecula's Wine Country. The address is 36400 Deportola Road, Temecula, CA 92592. Clinic participation is limited to 4 guests per clinic. Guests arrive on Sunday Evening anytime after 4PM. Clinic will end by Noon on Friday. Essential foundation training starts in the round pen. The round pen is a great tool to start controlling movements and begin developing the foundation for a partnership between you and your horse. Remember, "the horse you lead is the horse you ride". 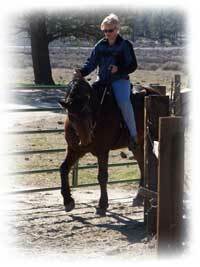 You will receive instruction on effective ground work specifically designed for the needs of your horse. 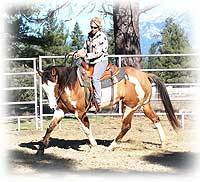 You will receive instruction on effective ground work specifically designed for the needs of your horse..
We will start from the ground, then progress to the saddle. We will be working on Giving to the bit, Yield to pressure, Emotional Control, Directional Control, Responsive Riding, Dealing with Fear, Collected Stops, and more. Any specific needs will be addressed for each rider. We will take everything we learned in the round per to the arena, and then from the arena to the trails. Problem solving on the trail will include Jigging, Crossing Obstacles, Spooking, Trailer Loading and more. 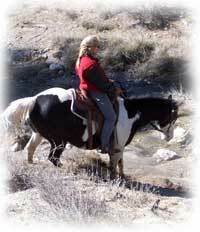 Cost: $975.00 per rider includes accomodations for your horse and lunch each day. Participation is limited to 4 guests per group. 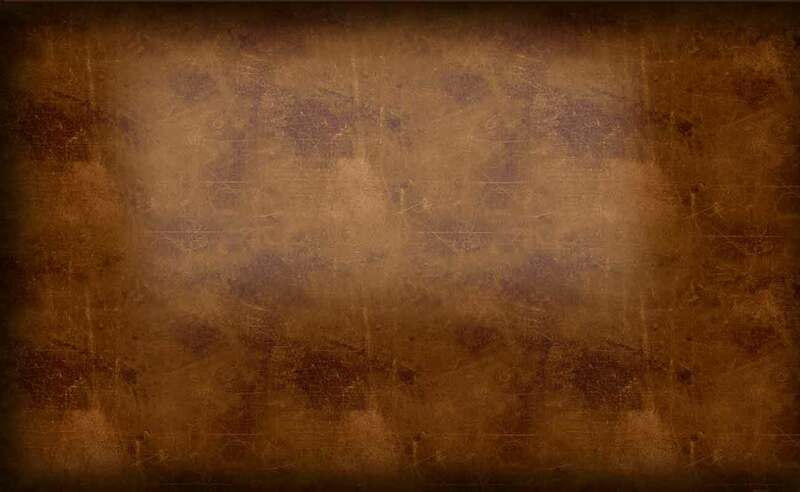 This enables me to give individual attention to each horse and rider. Accommodations for your horse will be included. You will need to bring hay or any feed you normally provide. Dry Camping is available on site – or there are plenty of Hotels available close by including beautiful wineries. Note: Each guest will be video taped throughout the day and will be reviewed at days end. This will allow us to monitor daily progress and identify areas that will require additional training. I do take in horses for training. Most people that I train horses for have a specific area they would like to work on - trailer loading, ground manners, training an arena worked horse for trail riding, start a young horse or problem solve such as rearing or bucking. I take in horses on a weekly or monthly basis and limit the number to 4 horses per month, which allows me enough time to devote to each one. The methods I teach are John Lyons and are universal and essential for all disciplines - Western Pleasure, Reining, English, etc. I specialize in more control with lighter hands, responsiveness, softness, collection at all gaits and stops. Training fee - $250 per week. I do give lessons on a group or one-on-one basis. Talk to me for arrangements. I offer 2 and 3-day clinics on a monthly basis. Participation is limited in number in order to provide the necessary time and attention to each rider. Clinics vary in topics from Roundpen Basics and Ground Control, to Responsive Riding on the Trails and will benefit all levels of riders. The tools and methods that I teach are based on the John and Josh Lyons principles. 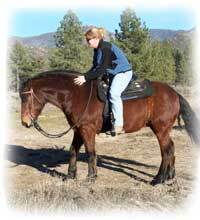 They are universal and effective for all disciplines; English, Western, arena or trail riding. Why wait? Become a consistent rider. Your horse will respond by giving you consistent performance and you will experience more control with lighter hands. End of Clinic ~ Job Well Done!